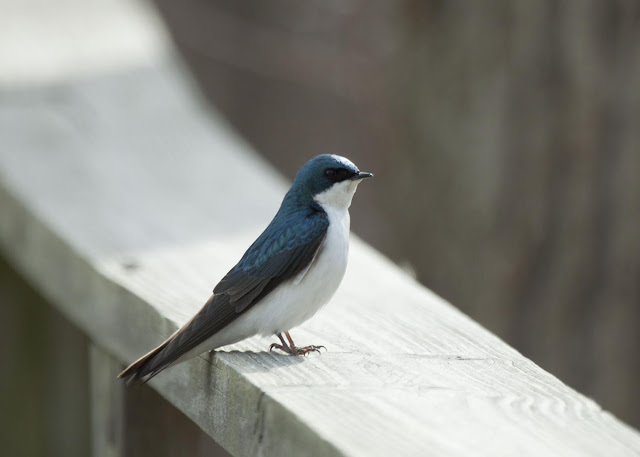 Rob writes: While at Black Swamp Bird Observatory (BSBO) over the weekend for some Biggest Week meetings, I had the opportunity to do a little birding on the world famous Magee Marsh Boardwalk. 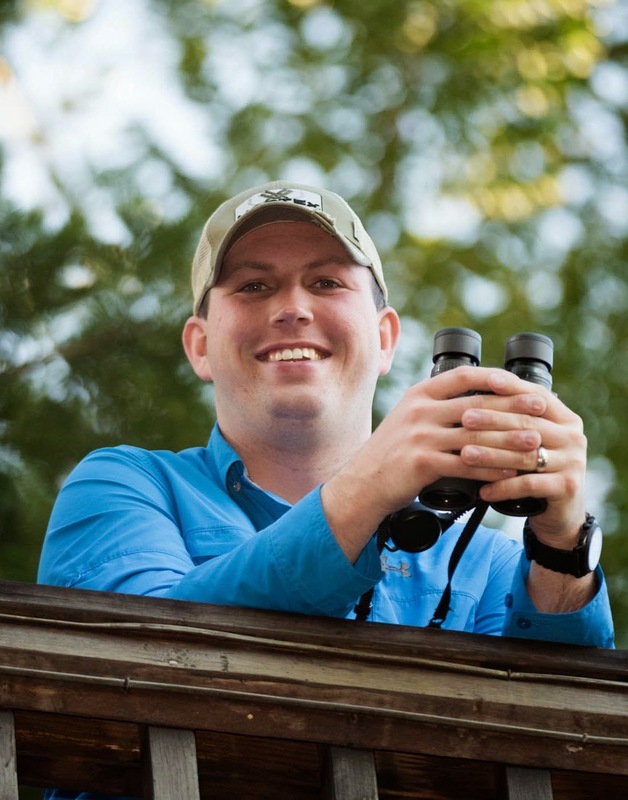 On Saturday morning, I met up with BSBO intern Ryan Steiner for an hour of birding before we headed into meetings for the day. The boardwalk was oddly quiet but there were a few early migrants around. Golden-crowned Kinglets and Brown Creepers were everywhere and a several Fox Sparrows were singing as well! There were also several species of ducks around including a rather photogenic Canvasback. 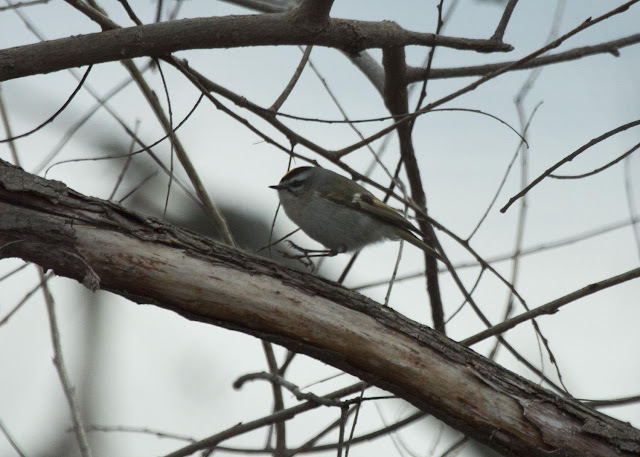 One of the many Golden-crowned Kinglets. 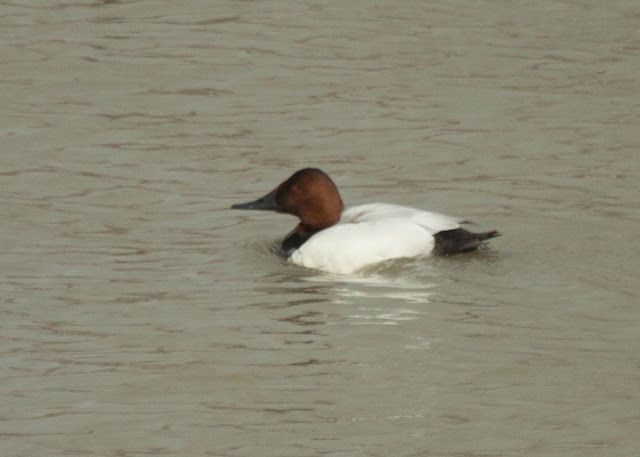 Although a little far away for a great shot, this Canvasback did not seem to mind our presence. The boardwalk could not have been more different on Sunday morning. If you follow birding in the Magee region, you know that Kenn Kaufman makes awesome predictions about when migration will happen in the area. You can find his predictions here http://cranecreekbirding.blogspot.com/. The weather was great for migration overnight and his prediction was dead on! It was even more fun for me to be able to join Kenn, Kim, and Ryan for a beautiful morning of birding. It was evident that the diversity and density of migrants had changed overnight as I made my way down the causeway. Robin numbers had grown exponentially and many sparrow flew up as I drove along. Due to the amount of birds in the parking lot, it took us almost 30 minutes to even start down the boardwalk. In just over 3 hours of birding, we were able to find 48 species, many of which were not around on Saturday. 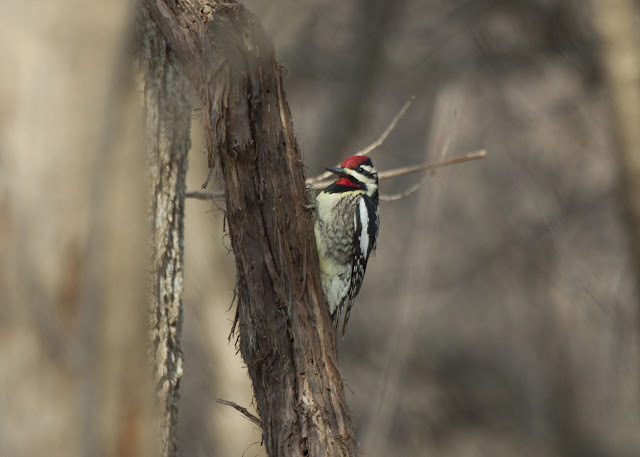 Some of the highlights were, Yellow-bellied Sapsucker, Hermit Thrush, Winter Wren, and Ruby-crowned Kinglet. Kenn really wanted to find the first Louisiana Waterthrush of the spring but no matter how hard we searched, we could not find one anywhere. Hopefully the waterthrush and some other warblers will be arriving before I return on Friday! This Tree Swallow perched on the boardwalk and allowed us to get some great photos! One of the many Yellow-bellied Sapsuckers that we saw. 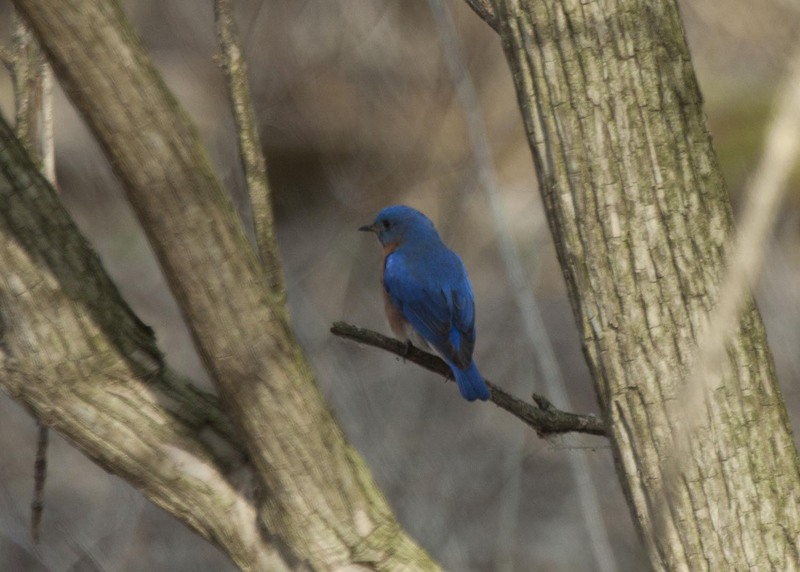 This male Eastern Bluebird looks like his back is a glowing neon blue! 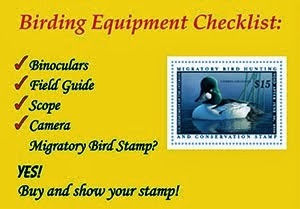 Click here for my full eBird list from Sunday morning: http://ebird.org/ebird/view/checklist?subID=S13686669. Ha! Looks like the Kinglet is jumping for joy for the biggest week!